Sound|Signal|Environment is a series of site-specific performances that seek to interrogate the various sets of relations that co-produce the 'hybrid' environment of Sydney city and its surrounds. The project employs an expanded approach to soundscape composition as an experimental mode of enquiry into a ‘general ecology’ of sound, spatiality and technics. In doing so it attempts to go beyond the conception of space (and the soundscape) as given, and nature/culture as distinctly seperate regimes of being, and engage dynamically with the co-poesis of space through sound. Please listen using headphones or stereo speakers (not built-in computer speakers etc). This first 'test performance' was carried out in the COFA/UNSW Art & Design parking building on the 14/10/17. 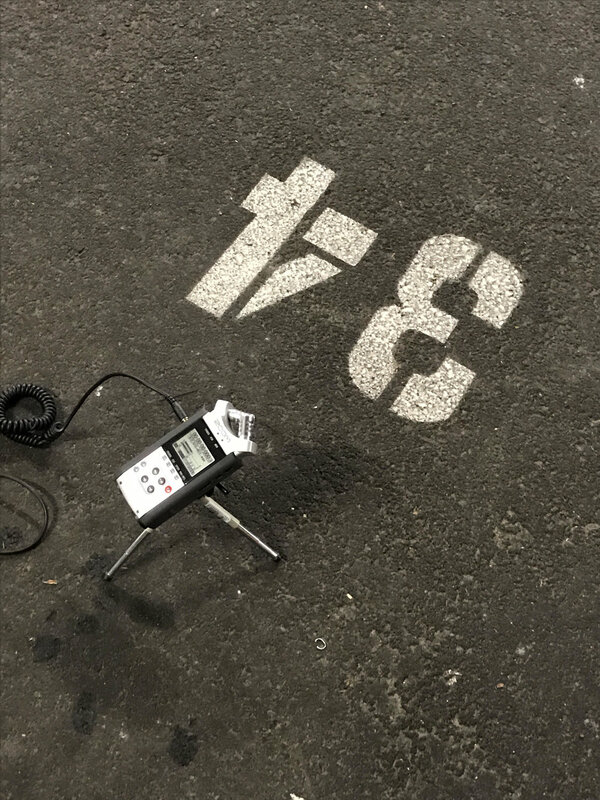 The composition employs electro-magnetic audifications of the electrical infrastructure of the building and sonified geo-spatial data from Transport NSW (which outlines commuter figures and carpark distribution in the Sydney CBD) that are used as 'control signals' to modulate the field recordings which were made in and around the carpark. In this way the various recordings of the various 'sound events' produced in the space, such as the sound of the air conditioning system, vehicle noise, audible electrical hum, and the sound of pedestrians and bird life outside, are processed (through filter frequency and amplitude modulation controlled by signals generated from the electro-magentic audifications) and arranged (by mapping the data sets in a temporal sequence as midi triggers which cue the playback of the recordings) to produce the final composition.